Ravana Is Alive! Whom Are We Burning Every Year? On Dussera and Vijayadashami every year, we burn the effigy of Ravana. There is a deeper meaning behind this action or ritual. The celebration, arrangements, processions and rituals of Rama-Leela have become commercial, and at times political, with a lot of hoopla goes around it. In that, we seem to have lost the real meaning behind it. The vices such as selfishness, corruption, and injustice have plagued our present day society. Our rulers are corrupt. The rich and the powerful have bought our government. The scholars are driven away from our educational institutions by vested interest. There is no regard for truth and justice anywhere in our society or government. The present day government finds definite parallel in Dhrutrashtra who was totally blinded by selfishness, passion, power and complete disregard for justice. The Lord took birth in the form of Lord Rama to get rid of Ravana, Meghanada and Tadka in Treta Yuga and again the avatara is born in the form of Lord Krishna in Dwapar Yuga to deal with Kansa, Putna and Shishupal. The great irony of this Kali-Yuga is that when the society is replete with scores of Ravanas, Kansas, Tadkas and Putanas, why are we not getting avatara? Ravana is the personification of vices while Sri Rama is the embodiment of virtues. Just as Ravana, Kansa, Putna, Shishupal and Duryodhana, they all represented life of impurity, egoism, self-centeredness and covetousness. Rama and Ravana are both living within us. When we live pure life in thought, words and deeds, we express Rama within us but when we live in vain pride, covetousness, and hypocrisy, we are expressing Ravana. So, whenever we see these vices being expressed anywhere by anyone, know that Ravana is very much alive. Burning effigy is symbolic of getting rid of egoism, pride, hypocrisy and other vices from our daily living. Just as Sri Rama, Sri Krishna and Sri Hanumana are also the embodiments of virtues. In Chapter, 16 of Bhagavad-Gita, Sri Krishna enumerates virtues starting with fearlessness, “Abhaya”. How can one be fearless? Let us take Sri Hanumana. Hanumana literally means, he, who has killed his ego. Being egoless, he surrendered himself to Sri Rama and he lived his life serving the Lord Rama, In turn, Sri Rama protected him. What does he have to fear when Lord Rama is looking after him? When we live the life, serving the lord, serving the lord in all the names and forms, we have nothing to fear, the almighty Lord himself will take care of us. In chapter nine of Bhagavad Gita, in the following verse, the Lord Krishna promises us, that he takes care of his devotees. In Sanskrit language, we have three words, sabhaya, nirbhaya and abhaya. Sabhaya is when one knows that there is a reason to be fearful and he is fearful. In English, because of lack of word, abhaya and nirbhaya both are translated as fearlessness. But there is a distinct difference between the two. Nirbhaya is really an illusion of security that leads to indolence. Abhaya is absolute fearlessness about anything in the world. The person who is abhaya, knows that he is being protected by the almighty lord and whatever happens to him it is only for his good and for good reasons. Such conviction only comes from living the life of complete surrender, service and sacrifice and once one develops such a conviction, there is nothing in the world that one has to fear, not even death! Sugriva was sabhaya, he was very fearful about being spotted out and slaughtered by Vali’s entourage. Even when he saw Rama and Laxmana in the forest he literally trembled with fear thinking they could be Vali’s men. Vali was nirbhaya. As such he was not secured but he had illusion of security that lead to laziness and ultimately to his demise. As elucidated earlier, Hanumana was abhaya. He was protected by the Lord Rama because of his virtue of the self-surrender and service to the Lord. Being mired by ego, passion, deceit, self-centeredness, one cannot even think about Ravana being abhaya. 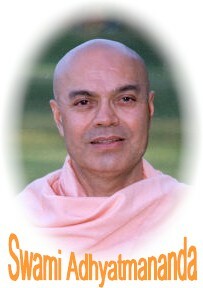 The life of a spiritual seeker is a constant struggle for developing virtues and eradicating vices. Desires, anger, greediness, delusion (moha), jealousy, etc. are some of the vices that one has to eradicate and develop virtues like, compassion, love, truthfulness, ahimsa, brahmacharya etc. Perfected being is the one who has attained complete mastery over the mind, developed all the essential virtues and eradicated the vices. He also has realized his real identity (atma-jnana). Should I Burn the Effigy or Not? Question obviously is not whether you should burn effigy of Ravana or not. The real question is - Where do you stand in your natural evolution to attain the perfection? When you reached the state of perfection, Ravana is already dead and burning of effigy has a little meaning for you. But after close introspection, you lack the above conviction and there are vices that creeps up in your personality to disturb the peace of your mind, Ravana is very much alive for you and you will have to burn that effigy year after year and life after life until you reach the pristine state of glory and grandeur where there is bliss, bliss and bliss absolute. I will go even further to tell you that burning it every year on the Vijayadashami will not suffice, you will have to be vigilant every moment of your life, and every unwanted emotion, every impure thought and every questionable action you will have to uproot before even it manifest. There is a popular analogy in the scripture and spiritual literature that if there are seeds, they will manifest one day when the circumstances are conducive, and come into being in the form of a plant, shrub or a tree. Once the seeds are roasted or burned, they are incapable to expressing themselves. So, my friends, in order to be sure, that you will never be the victim of Ravana again, in the form of egoism, lust, greed, hatred, anger, jealousy or any other vices for that matter, you will have to burn the seeds of desires and vasanas in the fire of Aatma-Jnana and Bhakti. There is no need to be pessimistic. You are all blessed to have attained the human birth. Now you have to make your life, divine life. Strive, Struggle and move towards your goal of perfection in this very life. 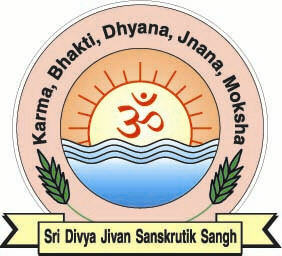 Make your Jivan, Bhavya Jivan. Nothing is impossible but it is essential that Rama wins over Ravana within you. It is victory of the virtues over the vices. This is a synopsis of a presentation given by Sri Swami Adhyatmanandaji in Gujarati language. We have tried to keep the sentiment, theme and concept in focus. If you find some error, major omission or any shortcoming in this translation, they all belong to the translator.